As many of you know, over the past year I’ve been studying at Capel Manor College, Regents Park for my RHS Level 2 certificates in horticulture. With the courses now finished, I’m nervously waiting to hear whether I’ve qualified or not. 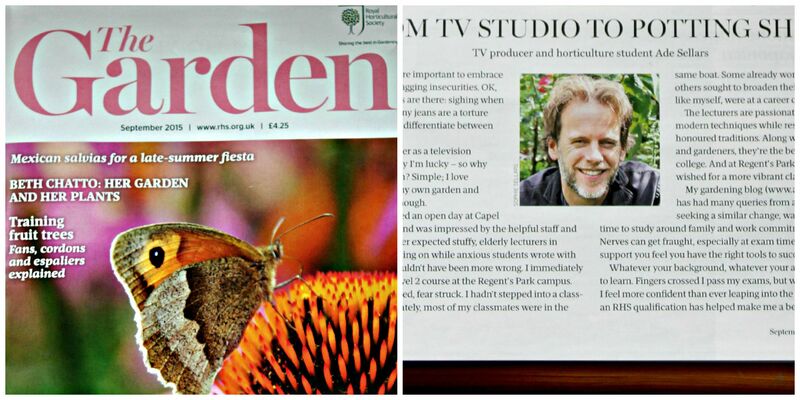 However, much to my delight, I was commissioned to write an article for the September issue of The Garden magazine, discussing the challenges of going back to college, juggling work and study, and my experiences of the course itself. You can find the article on page 21, and it might be a handy read if you’re considering studying with the RHS, or even if you’re thinking about going back to college to do something else. 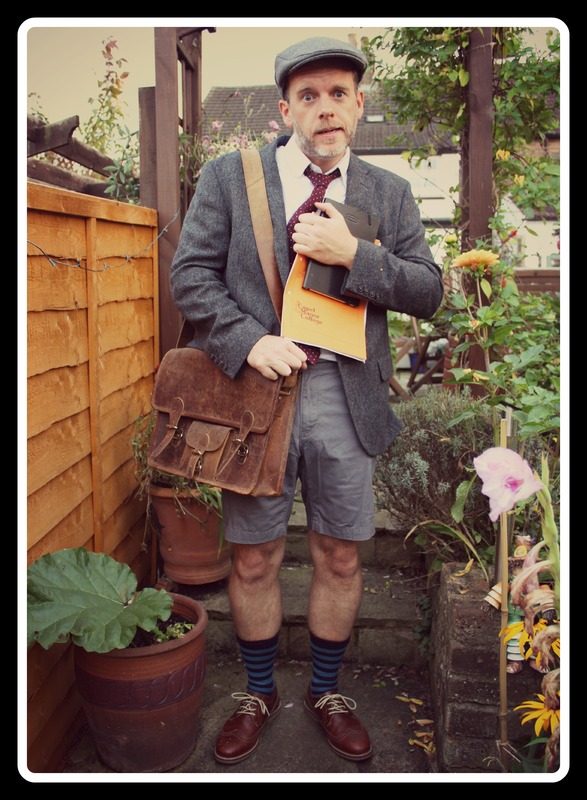 Who knows, it might inspire you to dust down that old school satchel and study what you love. Oh, good luck! It’s quite an undertaking. Love the picture! Than you, and congrats to you also. Great news about the article. 1. now you know what it entails, would you do it again? And are you continuing with the other module? 2. have you found it practically useful or all rather theoretical? Many thanks – and good luck with the results! Hi Jen! Without a doubt I would do it again, it was so rewarding, not just on a knowledge level, but also from the variety of people you meet and learn from. Not only did I learn from the course but from the students around me. It also made me realise there are so many avenues/careers in gardening, e.g: Garden therapy to name but one. Of course as someone who already gardens, there were times during the course when there were subjects I had prior knowledge of and which I found fairly easy. But there were times I hadn’t a clue and I really had to study, e.g: Latin. With the college course complete, I am now using practices taught to me both on the allotment in the garden. I’m even using the dreaded Latin without realising it! Regardless if I fail, I know the course has made me a better gardener. Hope that helps?